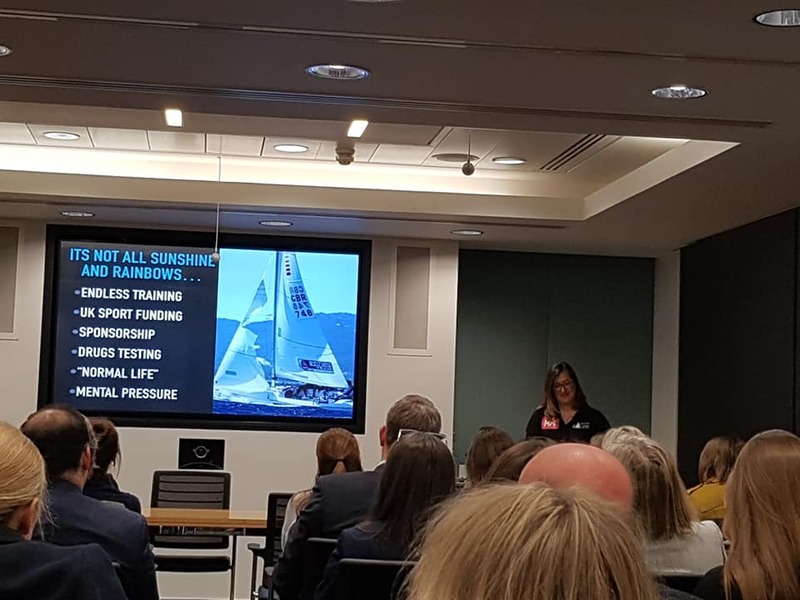 Four times Paralympian Hannah Stodel, who was born without her right forearm, gave a remarkable account of the journey she has taken to becoming a world champion sailor at a WISTA UK event in London. Stodel has won many medals for her yachting achievements, but at age 33 her journey is far from over and she is currently gearing up for her biggest challenge yet. Stodel, whose parents are both keen sailors, started sailing and racing from a young age and found that “it was a way to be like everyone else”. She was bullied at school and given the nickname ‘Hook’ as her first prosthetic was just that, but through sailing her confidence grew. Early in her career, Stodel competed in mainstream events, and it took a while for her to view the Paralympics as equal to the Olympics. She was won over by a fellow Paralympic sailor and has since represented the UK, along with team mates Steve Thomas and John Robertson in Athens 2004, Beijing 2008, London 2012 and Rio 2016. She spoke of the endless training, funding and sponsorships, the embarrassing process of drugs testing (having surprise urine tests at 5 am), and missing out on normal life (Stodel has never been clubbing, for example). All take their toll, but she took a moment to emphasise the impact of having to gain weight in order to secure extra race time. It takes a bold woman to admit that they could not comfortably fit into the Team GB Stella McCartney-designed kit. Unfortunately, the “Paralympics never worked out” for Stodel and her team, and they always came home without a medal. But what makes Stodel’s story so remarkable is her belief in the journey as well as the outcome. She quoted Ralph Waldo Emerson: “For everything you have missed, you have gained something else,” and is the mantra on which she acts. A disqualification in Rio (unfair said Stodel) and the fact that sailing is to be excluded in the Paralympic Games in Tokyo 2020 on the basis that there are not enough teams to compete (32 are needed and only 31 applied) has led Stodel to seek other challenges. When she first applied to take part in the Vendée Globe, her application was met with cynicism. 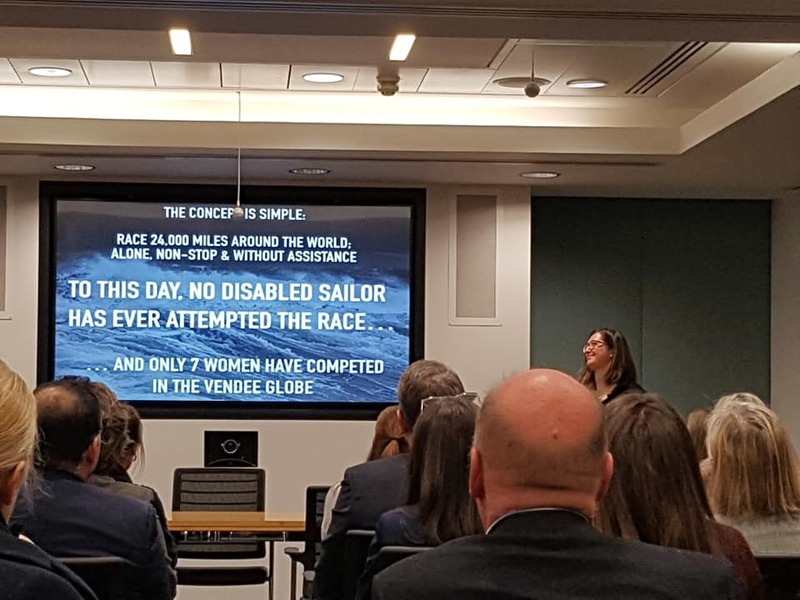 But she proved herself a worthy candidate when in 2018 she became the first disable sailor to take part in the Sevenstar Round Britain and Ireland race, coming fourth in her boat class. Now the Vendée looms, and in 20 months she will “single-handedly, quite literally in my case,” take on the round the world race. She was asked how she would handle the large 60 ft and she admits to its challenges, speaking of adaptations and modifications to the boat, such as winches operated by her feat, as opposed to hands. She also fears hitting underwater rocks and gear failure. 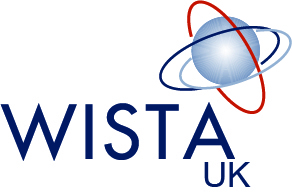 But despite these challenges, Stodel said that she remains focussed. “This is me kicking the door in for everyone else to prove it can be done,” she said.